If you are in the market for angle valves, then you are in the right place. 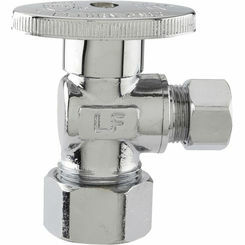 As a crucial component in almost any plumbing application, valves are used under the sink or in connection with the toilet in conjunction with supply lines. 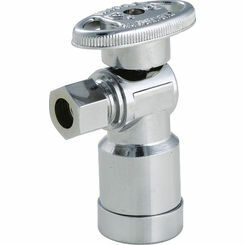 In technical terms, angle valves are a fluid regulating device. 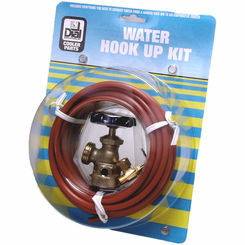 In simpler terms, it is what turns the main connection of water to the faucet or toilet on and off. 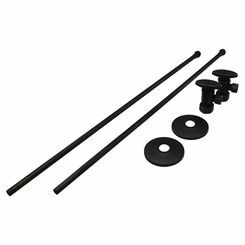 The inlet and outlet ports can be connected to galvanized, iron, or copper pipe. Generally, the connection to the galvanized and iron pipes is going to be a threaded connection. 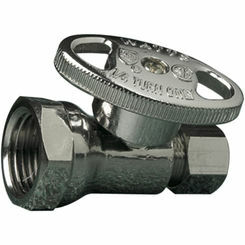 For copper pipes, they tend to be connected by compression fittings. 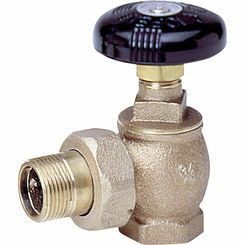 PlumbersStock offers angle valves (Watts, Honeywell, Dahl, and more), which are often used as a shut-off valve for residential uses and are commonly called right angle valves or angle stop valves. 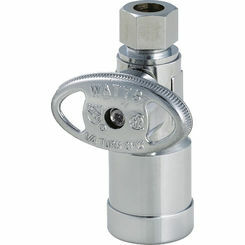 If your angle valve utilizes a compression mechanism, then it is operated simply by turning a handle. 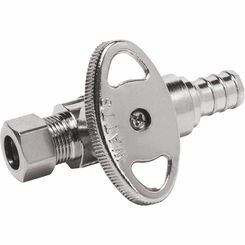 The threaded stem tightens against the valve seat with either a washer or ground joint. 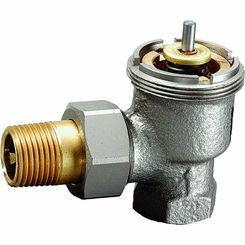 Once tightened against the valve seat, any flow of gas or liquid will be stopped. 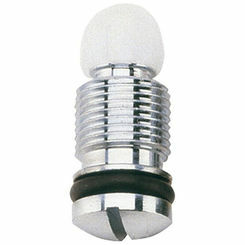 The compression type is made with an octagonal shaped handle that requires a series of rotations to be turned on/off. 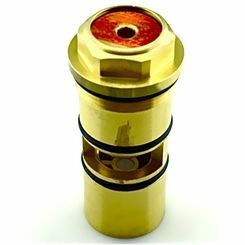 The constant rotating will eventually cause wear and tear, which may lead to leakage. 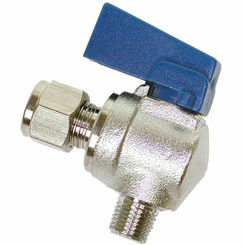 The other type is the angle ball valve. 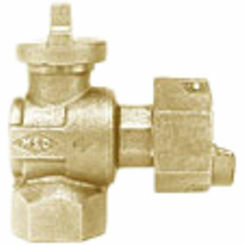 This mechanism is constructed with a tight fitting ball in the interior of the valve. This ball is generally made of either plastic or metal. 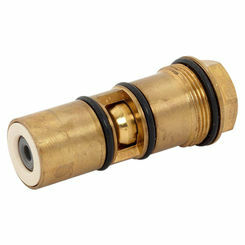 When the hole in the ball is aligned with the flow of water or gas, the water or gas is allowed to pass through. This is considered the “on” position. 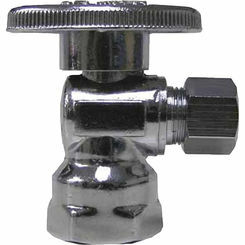 To turn off the flow of water or gas, the valve simply must be turned perpendicular to the supply line to cut off the flow. 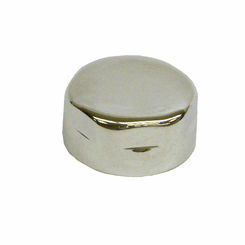 These handles typically require a simple quarter turn. 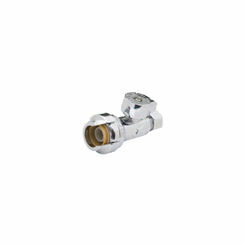 This prevents the leaks associated with the wear and tear that come with the other type of angle valves. What Kind of Configuration Should I Build? 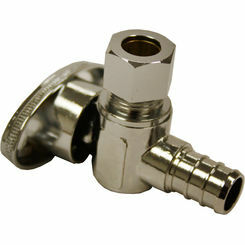 In residential plumbing, there are several options to choose from in angle stop valves. If you are working on your toilet, you should only need a single valve stop whereas you will need two valve stops for each faucet. 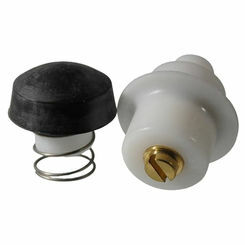 The separate stops control the hot and cold water and make it possible to shut off the water if any repairs or replacements need to be made in the future. Large portions of residential water lines are comprised of copper. 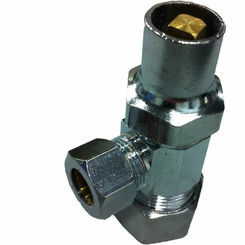 Often the inlet port of the angle valve will have compression fittings. 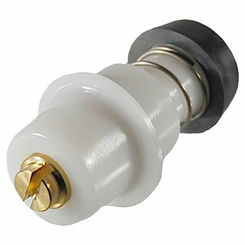 Outlet ports are often threaded to allow for the attachment of the flexible tubes leading to fixtures.  If you have any questions, feel free to contact our plumbing professionals. 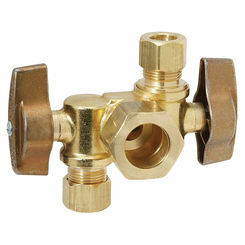 They will help you find the right angle stop valve for your home improvement project. 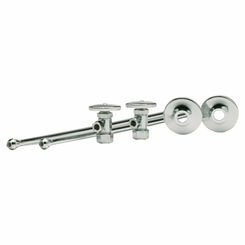 Shop and save with us on all our fittings.